“You’d never expect to hire suits for guys and then ‘add pockets’ as an extra, so the idea that women have to do it is insane,” Mrs Paterson, who lives in Cambridge, told the Press Association. “Pockets and belts. Wow, just wow,” wrote Twitter user @huggyhannah80. Mrs Paterson said the comments prove impractical women’s clothing is “a real issue”. “Women’s clothing simply doesn’t empower women as much as it should,” said Mrs Paterson. 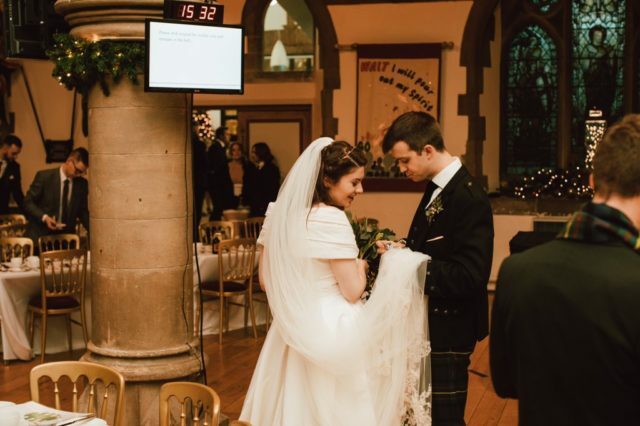 Mrs Paterson bought her dress from David’s Bridal, while the bridesmaids’ were from KF Bridal, and she said she used the pockets to stash her lipstick, phone, plan for the day and some snacks. Mrs Paterson’s seamstress stitched fabric from her mother’s dress into the pocket lining as her “little piece of ‘something old’” that she “could feel throughout the day”. 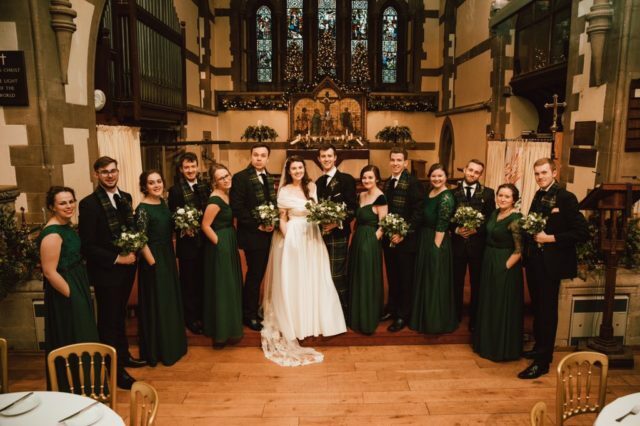 “I would totally recommend that other brides think about getting pockets not only for their own dresses, but for their bridesmaids too,” said Mrs Paterson. 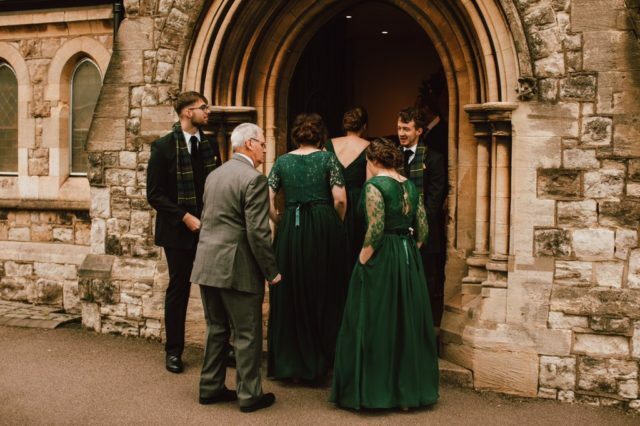 “It’s one of the most important days for us ladies to be ‘on our game’, but we’re not just there to look amazing – we want to successfully host all our family and friends, and pull off a major event.